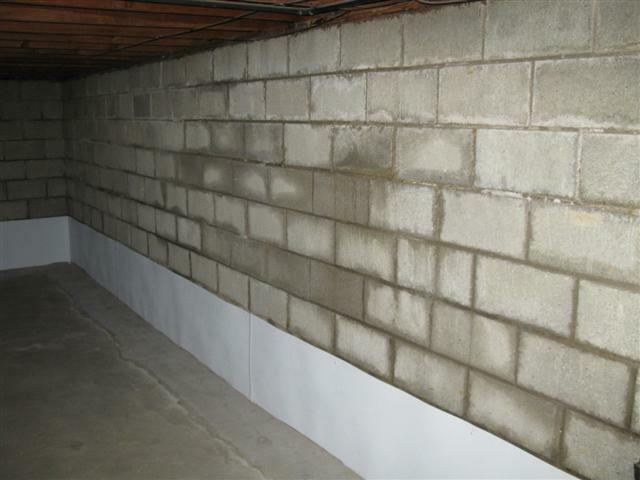 Basement Waterproofing Cleveland offers many basement waterproofing solutions which can make your basement a dry space that can be used for storage or finished space. We don’t sell fancy, expensive products; we complete hard work with methods which have worked for decades.Basement Waterproofing Cleveland completes both exterior waterproofing and interior waterproofing and will do exactly what needs to be done for your basement. We won’t try to oversell you or give you systems which you don’t need. Our exterior waterproofing system consist of an excavation of all dirt that sits against the walls and down to the footer level. Once the excavation has been completed, we replace the footer tiles, seal the walls with a waterproof membrane and cover it back up with gravel and backfill which will replace your soil to grade level. Our interior Basement Waterproofing Cleveland system consists of all work being completed inside the basement. The floor is opened next to the outside walls, and a drain tile is installed. The drain tile system collects any water that is under your foundation – it acts as a funnel that will move the water into the drain. We surround the drain with gravel to keep it clean. Once this is completed, we connect the drain system to a sump pump, which discharges the water into your yard. Both types of systems come with a transferable lifetime warranty, so that you can have peace of mind and added value in your home. Basement Waterproofing Cleveland number 1 choice. Our waterproofing is 100% effective and it is guaranteed for the life of your home with a fully transferable warranty. Rest assured knowing that your job will be handled by professionals with thousands of satisfied customers behind them. You can finally go on that two week long vacation without dreading the rainy season. You can sleep through the rainstorm: no more putting out towels or using the shop vac to prevent the basement from flooding.